Join the celebration of a great natural wonder on World Migratory Bird Day! 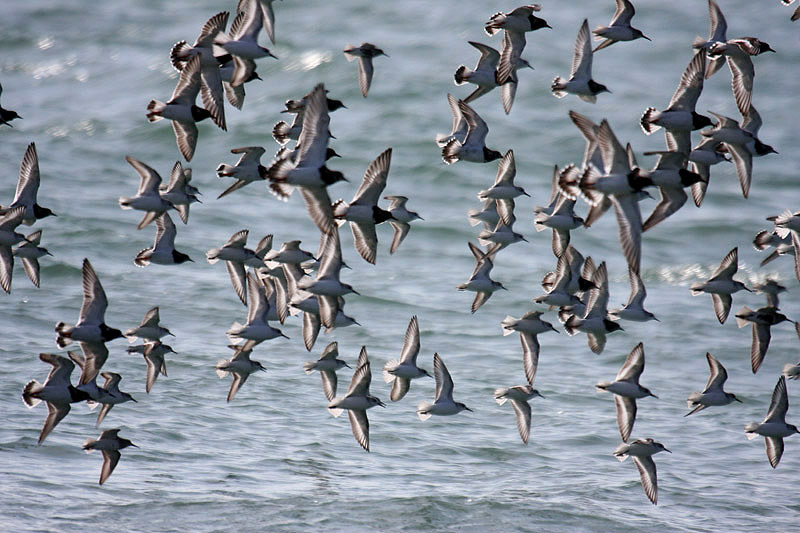 Take action and celebrate, conserve and raise awareness of migratory birds on 9-10 May 2015. World Migratory Bird Day was initiated in 2006 and is an annual awareness-raising campaign highlighting the need for the conservation of migratory birds and their habitats. 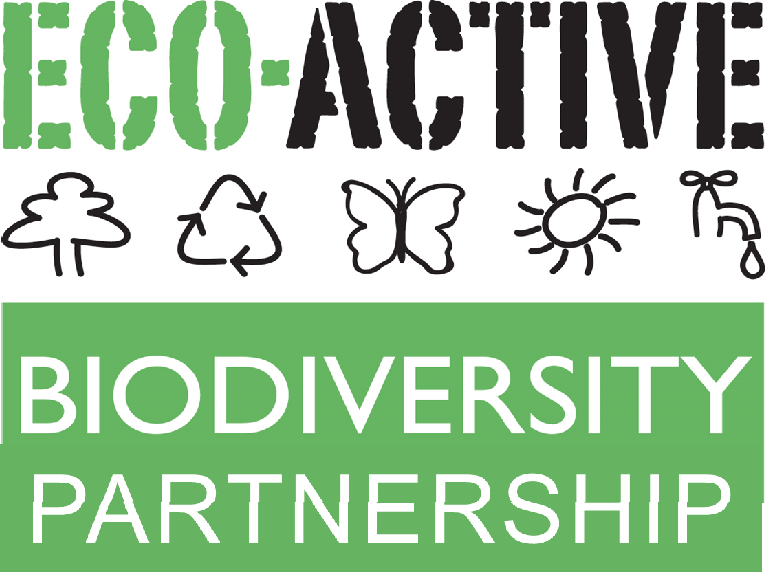 It is jointly organized by the Convention on the Conservation of Migratory Species of Wild Animals (CMS) and the Agreement on the Conservation of African-Eurasian Migratory Waterbirds (AEWA) – two international wildlife treaties administered by the United Nations Environment Programme (UNEP) – and a growing number of partners. 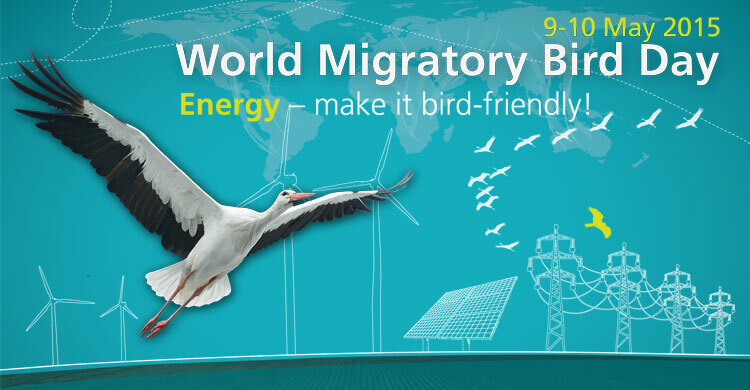 With the theme “Energy – make it bird-friendly!”, World Migratory Bird Day 2015 aims to highlight the importance of deploying energy technologies in a way that prevents, minimizes and mitigates impacts on migratory birds and their habitats. In times of ever-increasing global demand for energy, developing new and expanding existing renewable energy technologies are key when striving towards a low carbon future. Yet energy cannot be truly sustainable and nature-friendly unless it fully takes biodiversity and, more specifically, migratory birds into consideration. On the second weekend in May, dedicated organizations, governments and people around the world will plan events to mark World Migratory Bird Day celebrating migratory birds and raising awareness about the need for their conservation. 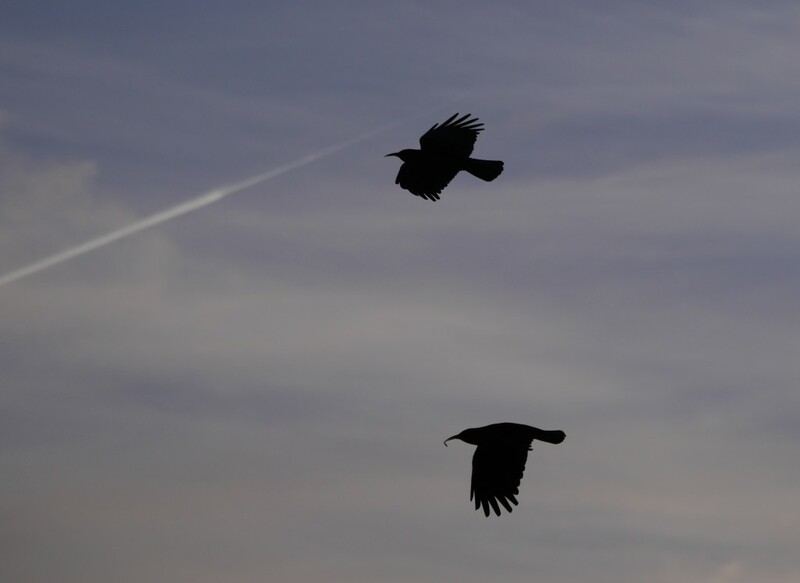 Since World Migratory Bird Day began in 2006, events have been held in 130 countries and this year we hope to reach even more people and organizations to connect and work together towards conserving migratory birds and their habitats worldwide. 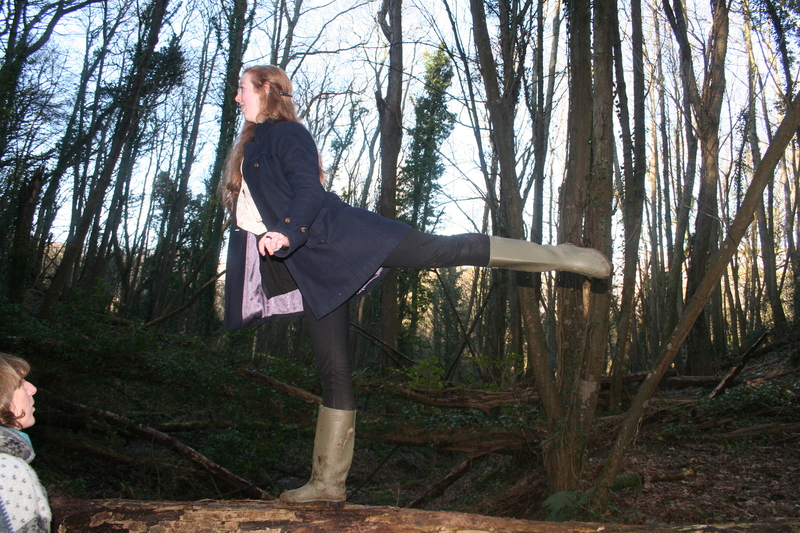 If you regularly wander around some of the Island’s woodlands, in particular those associated with water, you may see one or two additions to the trees. The Jersey Bat Group in conjunction with the Collett Trust for Endangered Species has placed 50 bat boxes in local woodlands including Val de la Mare, St Peter’s Valley and (shortly) St Catherine’s Woods. Thanks to Jersey Water, National Trust for Jersey and the Department of the Environment for authorising us to use their land for our project. 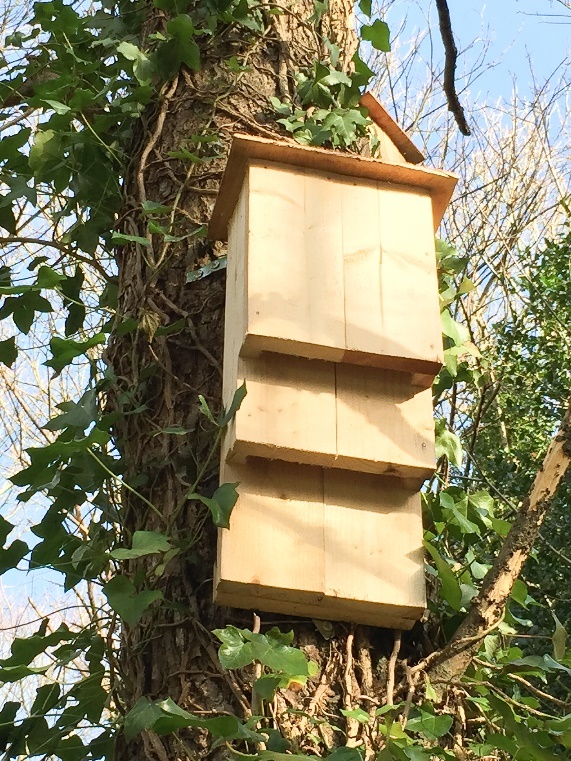 We are using these nest boxes as a tool for discovering which species of bats inhabit our woodlands. 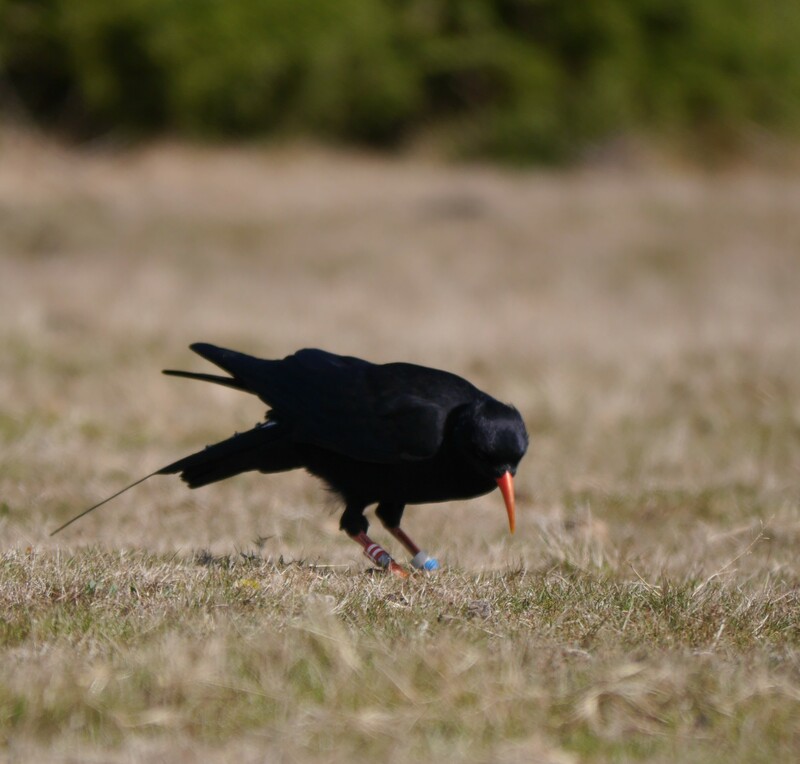 We will be monitoring the boxes, which are of the Kent box design with two chambers (see details on the Kent box here), from April to October using non-invasive methods such as the collection of droppings for analysis, detection of echolocation, direct observation and emergence surveys. 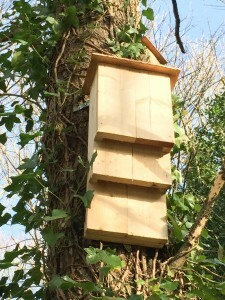 These boxes have a good record in the UK for bat occupation so we are hoping that some may be in use this spring/summer. 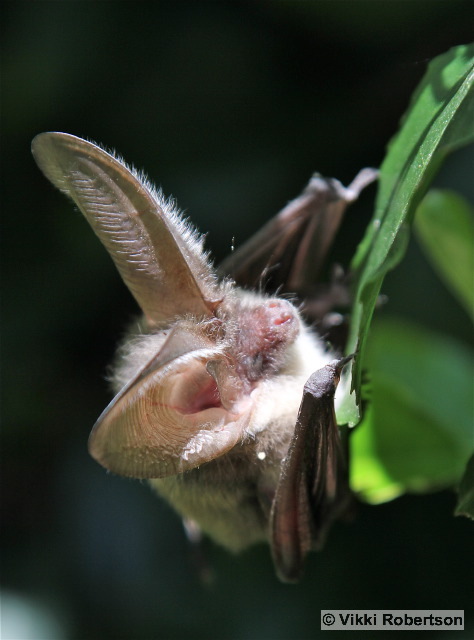 As well as providing additional roosts for our woodland bat species, we hope to expand local knowledge of the status, distribution, ecology and population trends of our woodland bat species through the monitoring of these supplementary roosts. 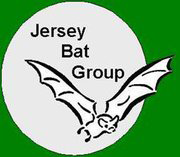 The Jersey Bat Day event is a collaboration between the Department of the Environment and the Jersey Bat Group. 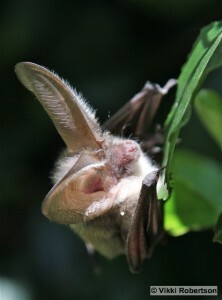 The themes of this year’s day are ‘Bats and woodlands and bats and sound’. 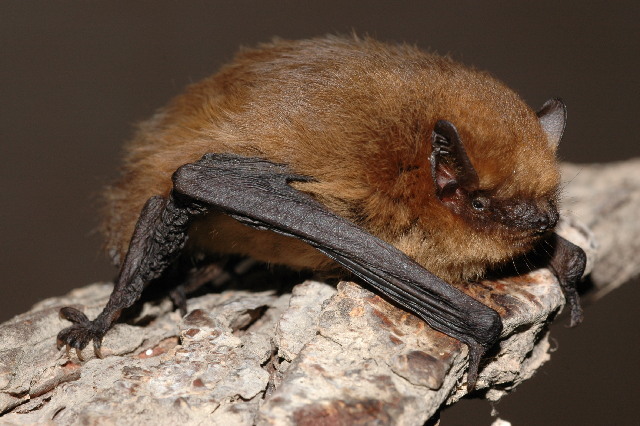 Bats are an ideal indicator of the health of Jersey’s biodiversity as they are extremely long lived for their tiny size and slow to reproduce. 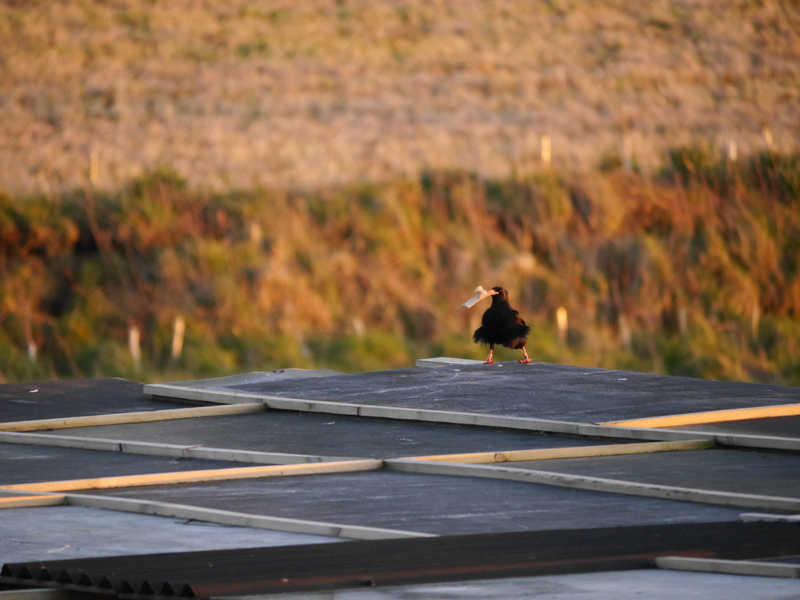 This makes them vulnerable to a wide range of environmental impacts including those from building development which can affect the places they roost. They are also exposed to environmental pollutants both directly and through the food they eat, most local species feed mainly on airborne insects. 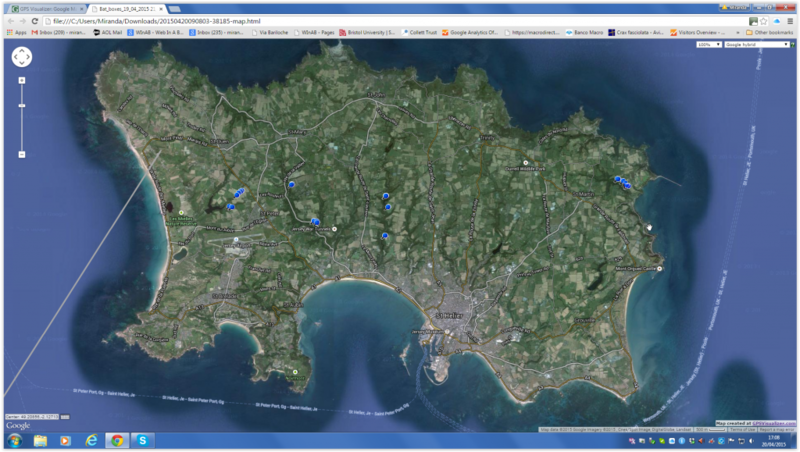 14.30-16.30 at Val de la Mare to learn about how bats use woodland and the woodland bat box project with Miranda Collett, Jersey Bat Group and Trustee, Collett Trust for Endangered Species and Bob Cornes. 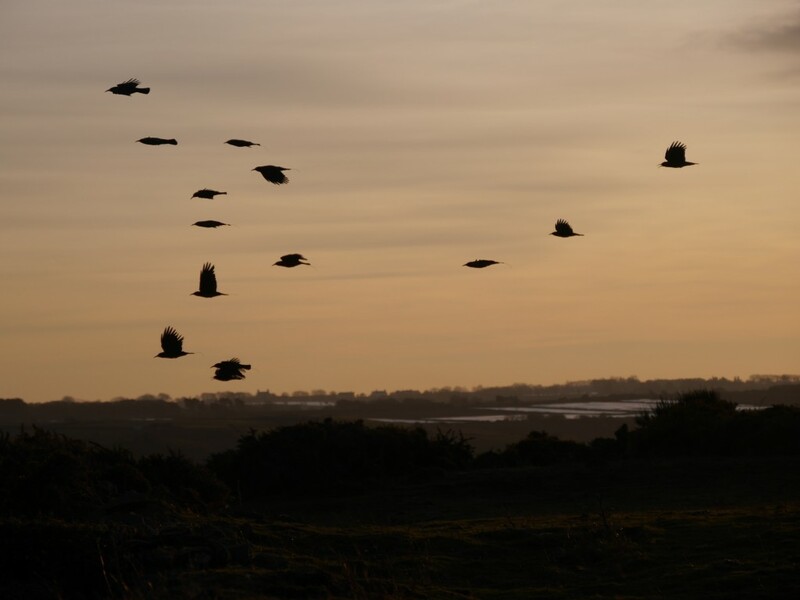 19.30-22.00 there will be a roost emergence survey at a property in Trinity (details to be confirmed at lunch) with Annika Binet and Bob Cornes. Are there many more beautiful sights in mid to late summer than that of a hillside covered in flowering heather? Against the backdrop of a blue sky and glorious sunshine, a sea of purples, pinks, and occasional whites, shimmering in the heat, there can be few more perfect sights. The hum of insect activity too can be heard, almost felt, from a distance amid the call of foraging birds. Heather, whether it be Calluna vulgaris (ling) or Erica cinerea (bell heather), has long played a part in the landscape of Jersey, predominantly of the northern, rockier coastlines, but it can occur in any open landscape, wet and dry. In Jèrriais it is called d’la bruëthe, and has been used as many things through the ages: firelighters; bedding for farmers and their livestock; an orange dye (from the flowers); knife handles (from the roots), and, my personal favourite, it has been used to make beer. 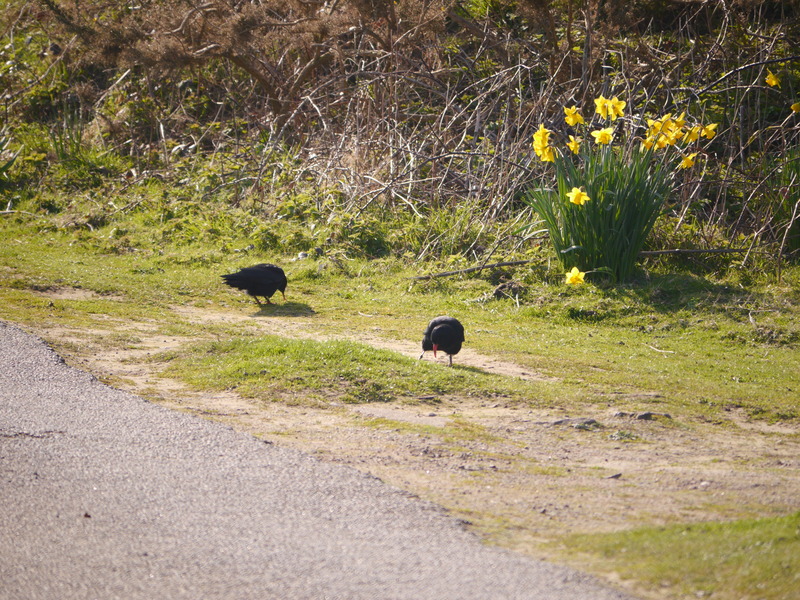 It is also a favourite amongst much of our wildlife. 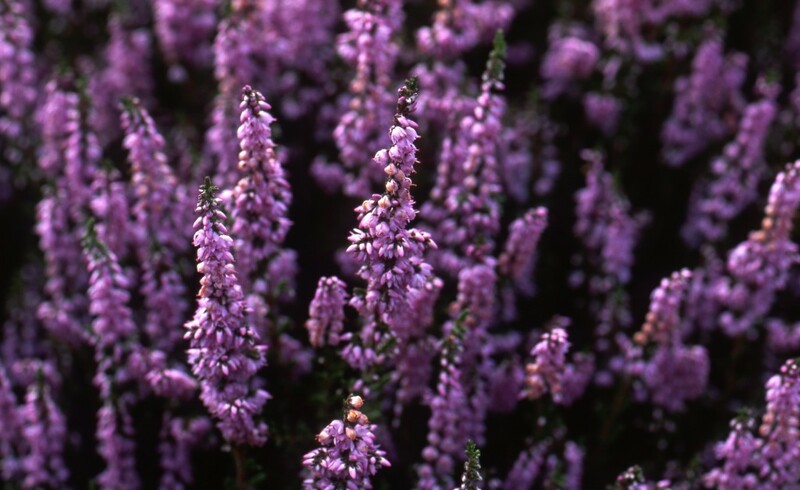 Bees adore it, heather honey is a delicacy; some butterflies rely on it as a food source for their caterpillars; some birds, such as the choughs, like to line their nests with the newer, softer, shoots in spring; grazing livestock and rabbits like to eat those same soft, new shoots. 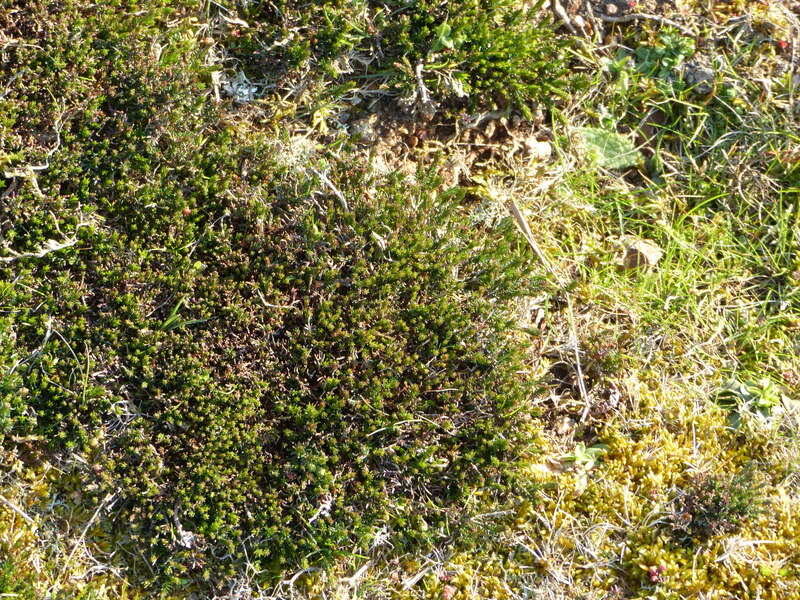 Heathers are a staple of the heathland flora, much preferring the acidic soils that most plants would struggle in. They flourish in areas where trees have been removed and the grazing of livestock has prevented their regrowth. 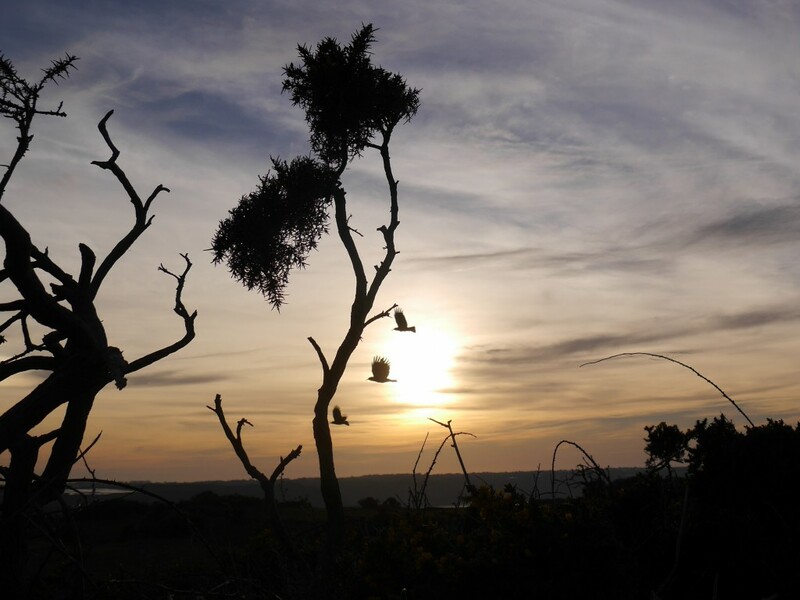 One component of the restoration project at Don Paton, Sorel Point, Mourier Valley and Devil’s Hole is the increase of heather in the existing heathland. 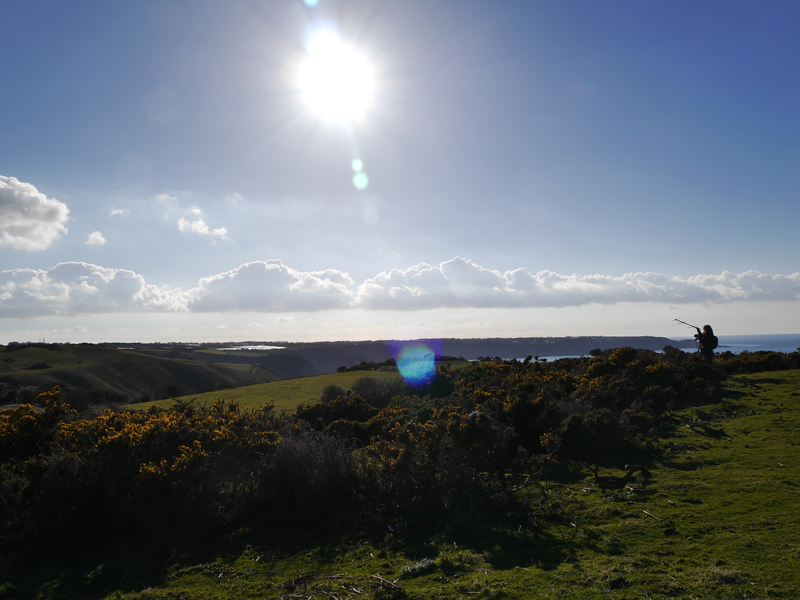 The overall site had lacked any management for many years, before it was given to The National Trust for Jersey; the soil is too poor for arable farming to be successful, and the area had become overgrown with bracken, gorse, bramble and thick grasses. All of these other plants, of course, play their part in the habitat, but, left to their own devices, they will dominate and swamp any smaller more wildlife-friendly species. 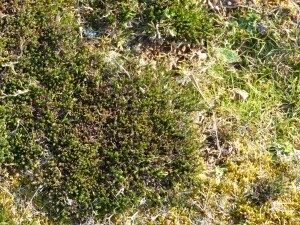 The National Trust rangers have worked hard to bring these other plants under control, and encourage those such as heather to gain a foothold. 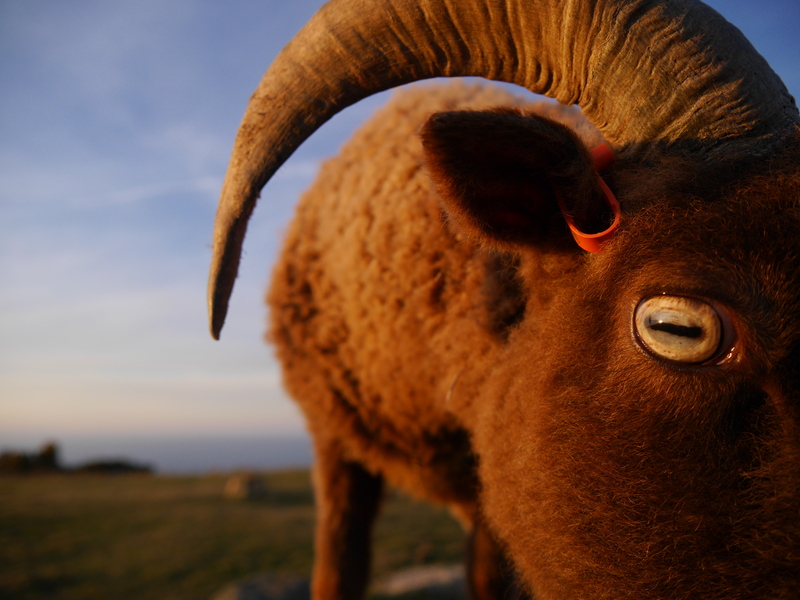 Once areas had been cleared and more open spaces were created, with grasses growing, ably controlled, munched and fertilised, by the Manx loaghtan sheep, we could pinpoint areas where heather could be re-established. 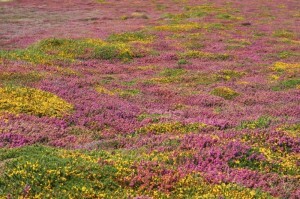 Seed was collected from Les Landes by the States of Jersey rangers, as there is an abundance of well-established heather there. Les Landes is what we hope Don Paton will look like in a few years’ time, minus the castle and racecourse. After an application of sulphur had been applied to acidify the soils, the seed was scattered at Don Paton. Once the heather had started to grow, we realised just how popular it was as a food source for sheep and rabbits alike, and decided that we needed to protect it before it was lost again. When it is well established, gentle nibbling will not be too much of a problem, in fact it will be of benefit, but until that time, a sheep and rabbit-proof shield was required. 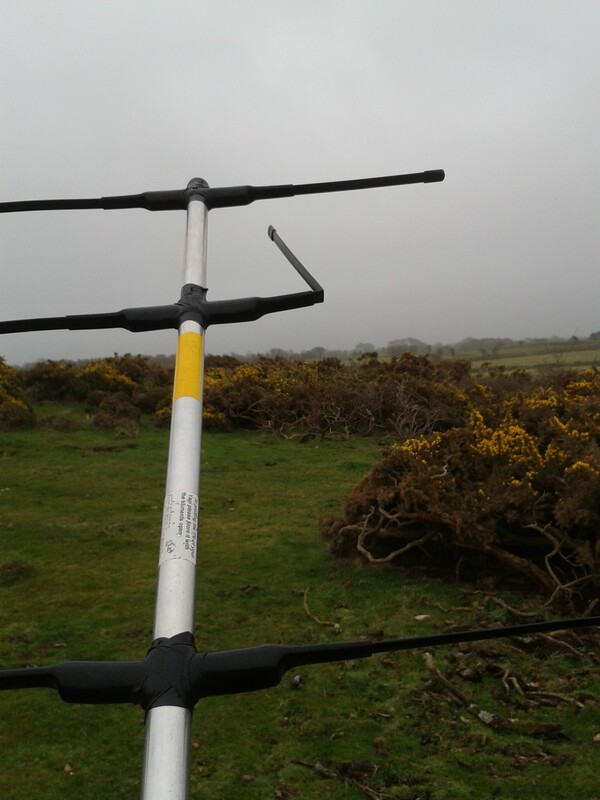 A post and wire fence was put up one winter, on a cold, wet, wild grey day (are there any other type of day in a Jersey winter?! 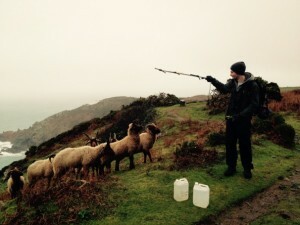 ), much to the amusement of the sheep, who watched us struggling to bury the wire in the rocky soil. They then thought it was hilarious to jump over the wire just as we packed up for the day. We were not amused. A second, taller layer of wire was put up, in an attempt to remedy the sheep jumping. 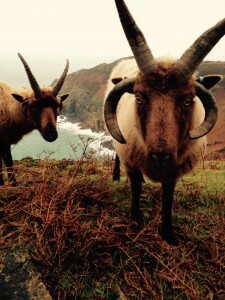 They they decided to tangle their horns in it instead, which caused holes to appear. Rabbit sized holes. 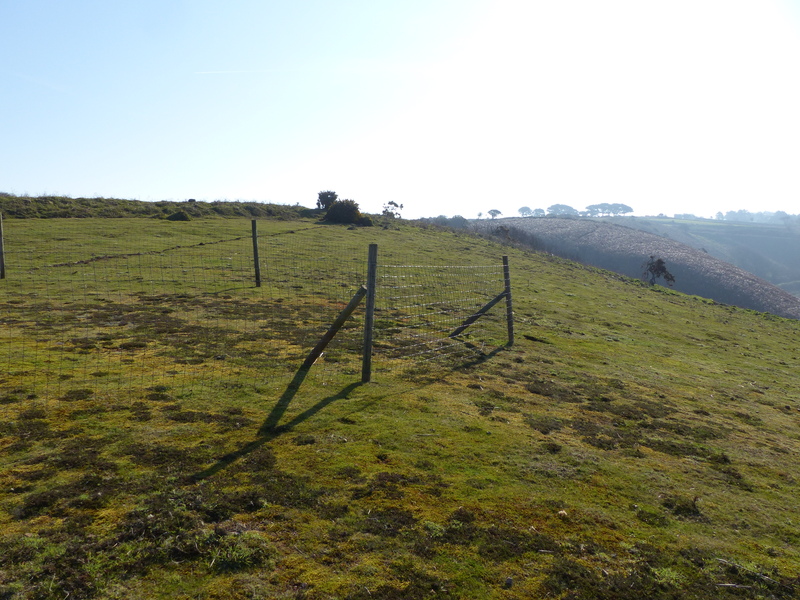 A third attempt at protecting the heather, using stronger, taller wire (put up on a much sunnier day!) 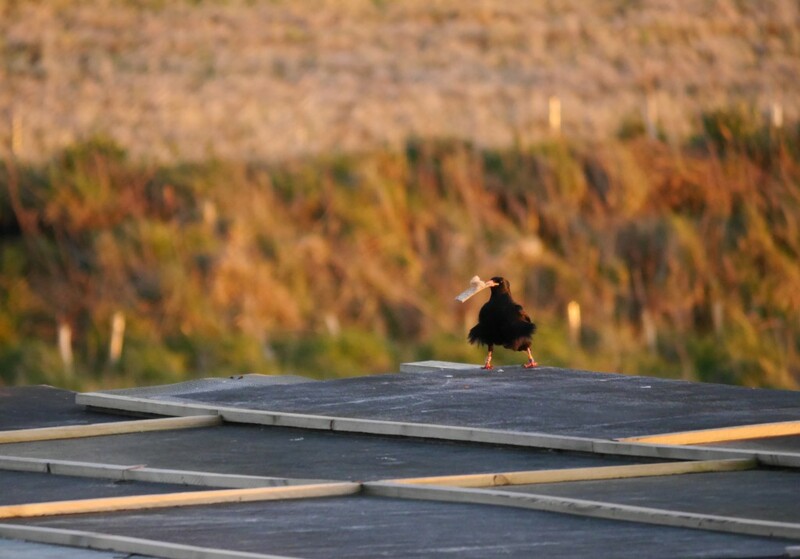 and at two much smaller sites than the first, has now been put up and, so far, seems to be keeping the animals out. 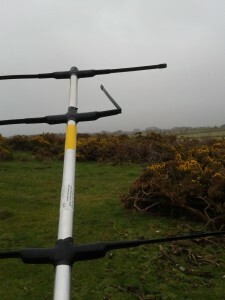 We will be monitoring the areas regularly to ensure that the heather is not being eaten by the woolly jumpers or their bunny mates, at least until it is really well-established (or there is enough for the staff to start making beer!). What do we need for a ‘good life’? At one level, the answer to this question will differ for each person. Yet, we all share a common set of needs that must be met for us to experience wellbeing. 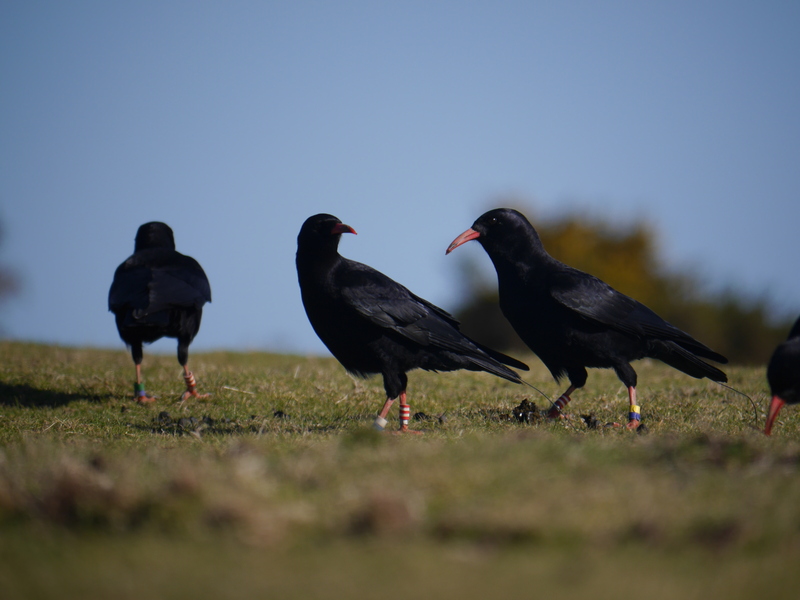 Understanding those needs and the crucial contribution of nature’s services in enabling us to meet them is the subject of a new report in the (New Zealand) Department of Conservation’s series of Science & Technical publications. 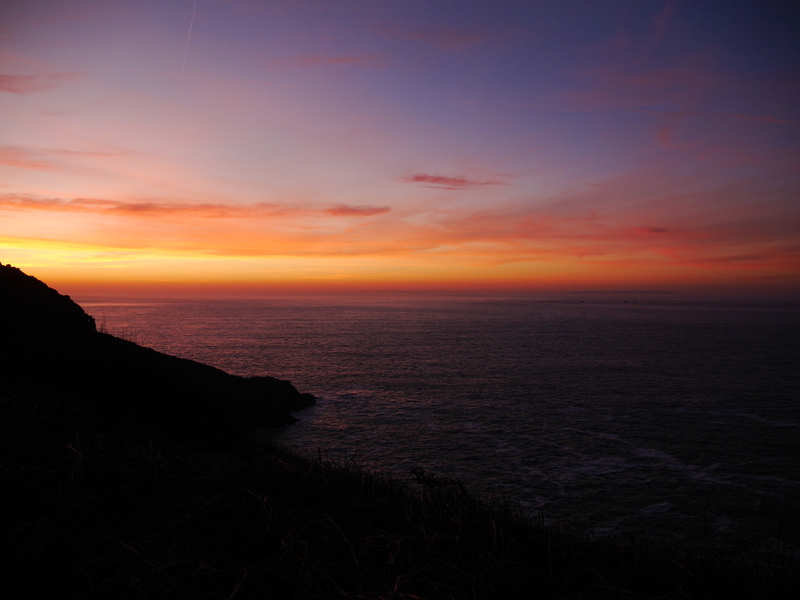 The report brings together research on wellbeing and research on ecosystem services, focusing on the services that come from ecosystems in New Zealand but widely applicable throughout the world and very appropriate as the Channel Islands look to a ‘greener’ future. There has been an upsurge in research on ecosystem services in the last 20 years, including detailed research and discussion about how to classify and categorise the types of ecosystem services that contribute to wellbeing, and numerous studies attempting to determine the monetary value of various ecosystem services. However, the question of how to categorise and understand the types or aspects of wellbeing that ecosystem services may contribute to has not been explored to anywhere near the same extent. This may be because the impetus for studying ecosystem services has come from ecologists and economists, rather than from social scientists. To date, much of the work has focused on the supply of ecosystem services and the demands for these services, both marketed and non-marketed. However, there has been little focus on what is driving our demand for ecosystem services – a desire for enhanced wellbeing. 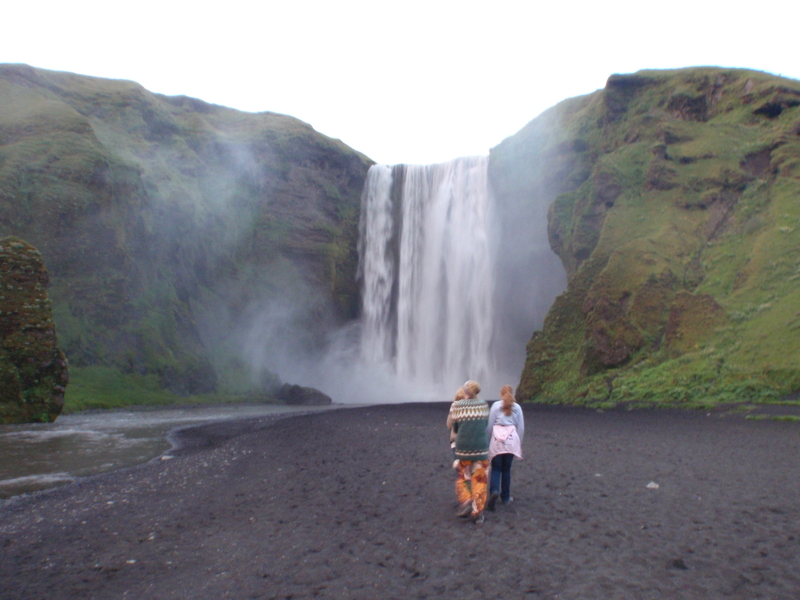 ‘Ecosystem services’ can most simply be defined as the benefits people obtain from ecosystems. Ecosystems are widely considered to provide four categories of services: supporting (e.g. nutrient cycling, soil formation and primary production); provisioning (e.g. food, fresh water, wood, fibre and fuel); regulating (e.g. climate regulation, flood and disease regulation, and water purification); and cultural (aesthetic, spiritual, educational and recreational). Wellbeing can be defined as a good or satisfactory condition of existence; a state characterized by health, happiness, and prosperity. The last 20 years have seen a significant increase in research on wellbeing. Some of this research has focused on happiness, looking at the different contributors to happiness and how its different aspects can be measured. Researchers and governments have been exploring how best to measure whether the wellbeing of a nation is improving. The ecosystem services delivered by biodiversity and natural ecosystems contribute in a wide variety of ways to wellbeing. They not only provide many of our basic needs and enhance our safety; they also breathe the fundamental essence into what it means to be a human. Some people appear to be highly aware (either consciously or intuitively) that their own wellbeing is linked to the health of the indigenous biodiversity that delivers so many of these services, and are actively participating in restoration projects around the country. However, many others appear to be unaware of these connections. The ecosystem services concept has proven to be an invaluable tool internationally and in New Zealand for communicating our dependence on ecosystem services, and is leading to improved policy and practice. 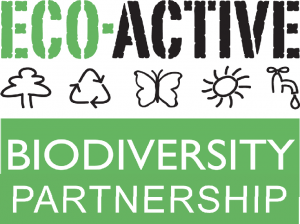 We look forward to its increased use, greatly increased research to support its use, and the incorporation of ecosystem services as a key component in engagement across the community and in education at all levels. 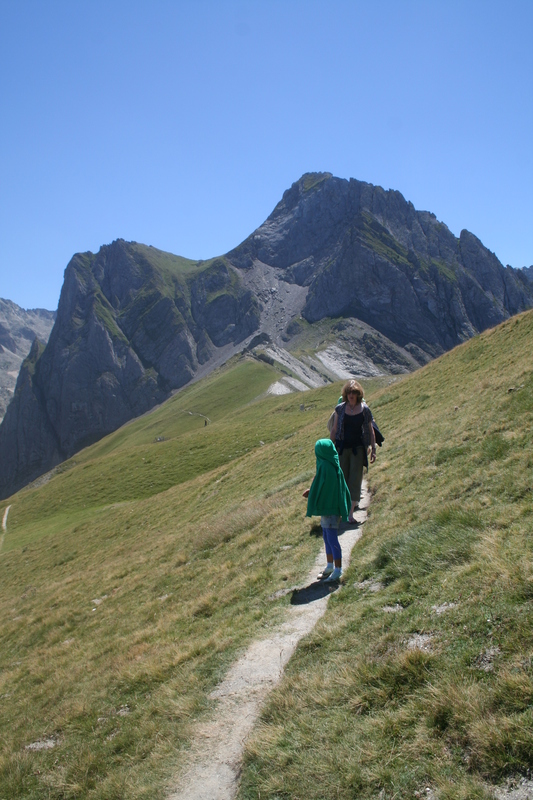 However, a clearer understanding of the main contributors to wellbeing, and the ways in which our choices can affect both the level of wellbeing and the level of environmental impact, is equally important. We believe that fostering discussion, research and education on the different components of wellbeing (e.g. what really does make us happy?) will broaden understanding of the many factors that contribute to personal and national wellbeing, including a greater awareness of the irreplaceable contribution of ecosystem services. We will not only improve our own wellbeing and that of supporting ecosystems, but will also enhance the opportunity for our grandchildren and others on the planet to meet their basic needs and enjoy ‘the good life’. Is it worth having birds in the city? If you live in Seattle or Berlin, the answer is yes, to the tune of £80 million and £47 million a year for each city, respectively. 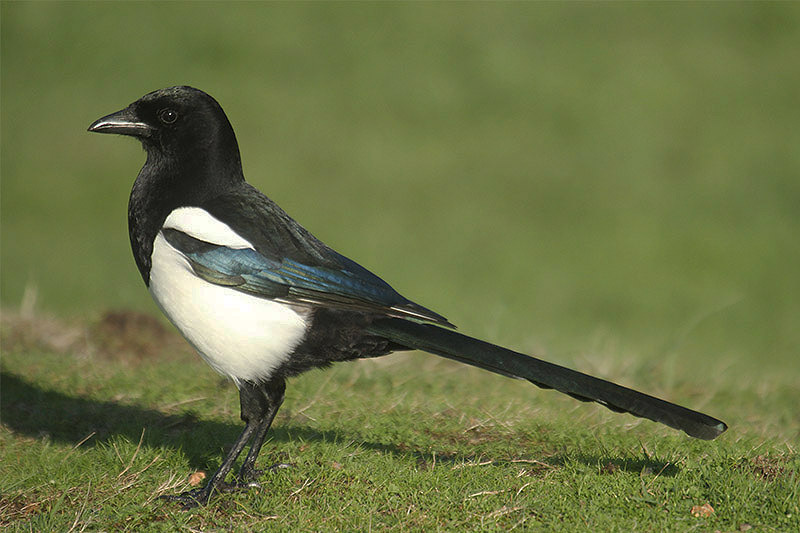 A new study published in the journal Urban Ecosystems looks at what economic value residents in two comparable cities place on having birds in their gardens and parks. 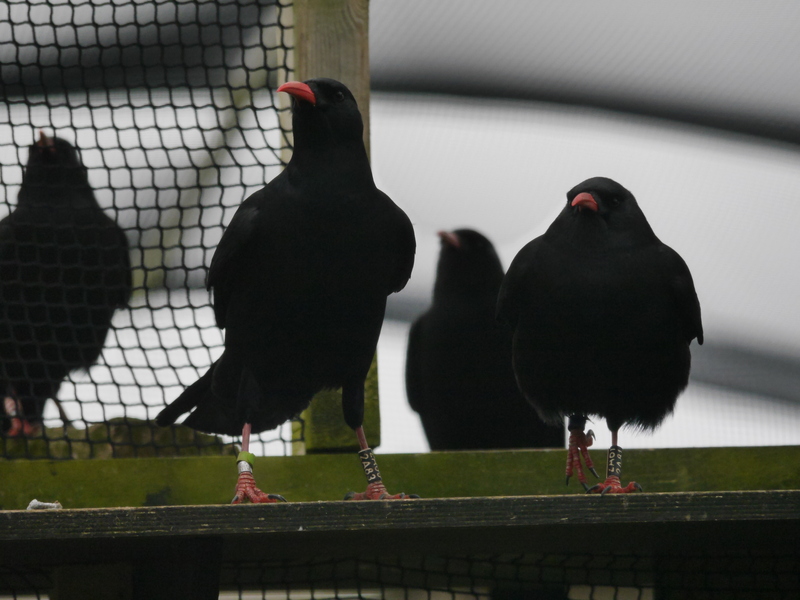 Researchers at the University of Washington and Humboldt State University compared two types of common birds – finches and corvids – in both cities, asking residents how much they would pay to conserve the species and what they spend, if anything, on bird food. They found that both cities place a “sizeable” value on bird enjoyment, somewhat more so in Seattle. 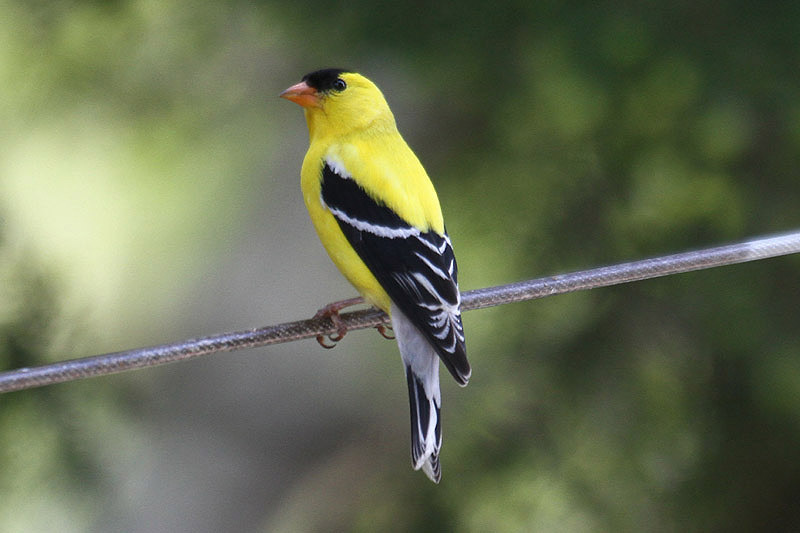 Residents in both cities spend more than the average U.S. adult on bird-supporting activities, suggesting that people from Seattle and Berlin value having birds around their homes and neighbourhoods. 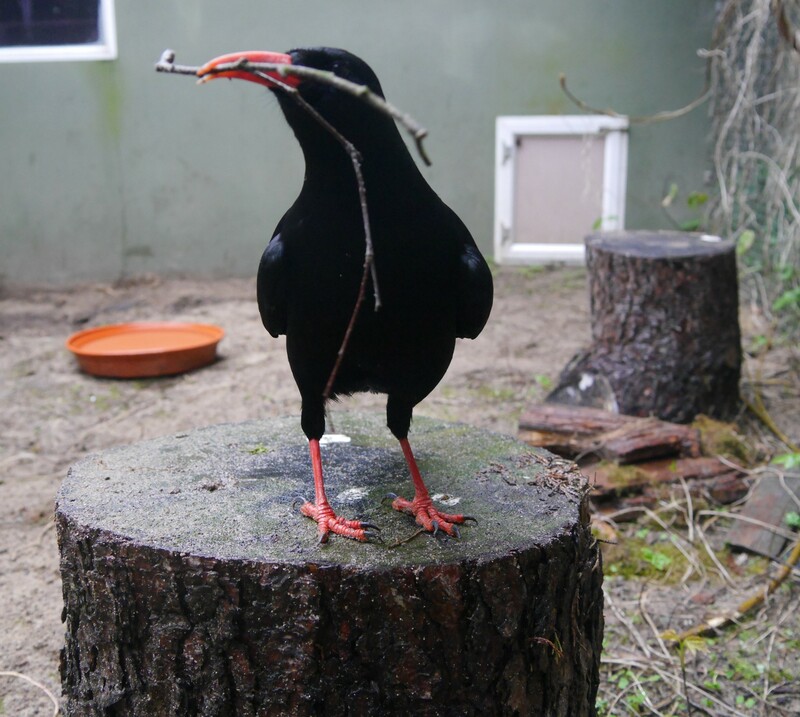 These activities, in turn, also show that birds benefit the local economies as residents invest in food and nesting structures. 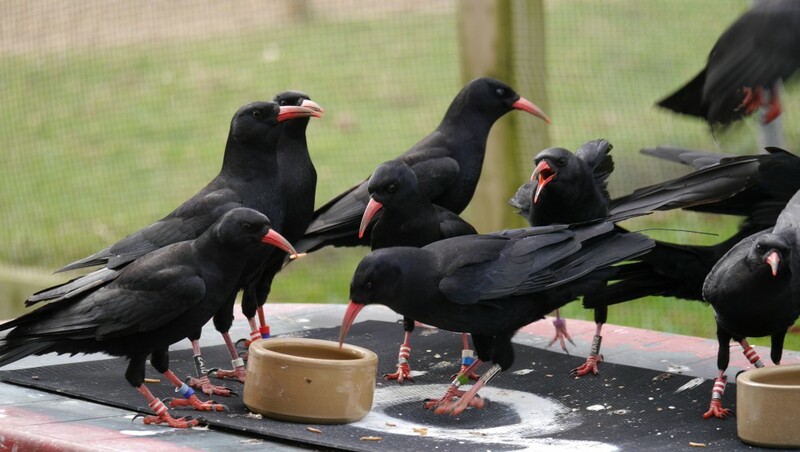 Researchers say this is the first look at estimating the economic value of enjoying common birds in an urban setting. 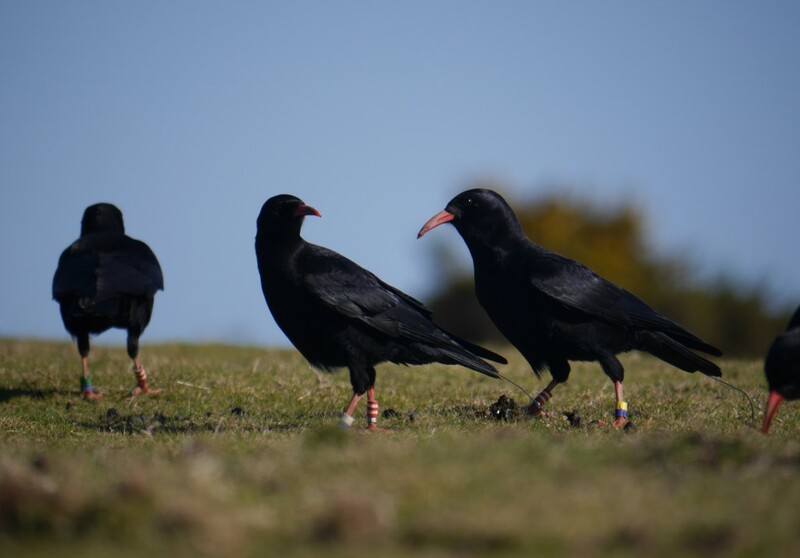 Previous studies have assessed people’s willingness to pay to see rare or charismatic birds and to pay for conservation of endangered species, but these instances don’t affect most people. “No one has really looked at what people will be willing to pay for these more common species, ones that aren’t necessarily endangered or threatened. We wanted to address that because people living in urban areas don’t encounter endangered species on a daily basis,” said co-author Barbara Clucas. Clucas in the Seattle area and collaborators in Berlin went door-to-door and surveyed dozens of households in different types of neighbourhoods – urban with apartments, dense suburban, light suburban and rural. 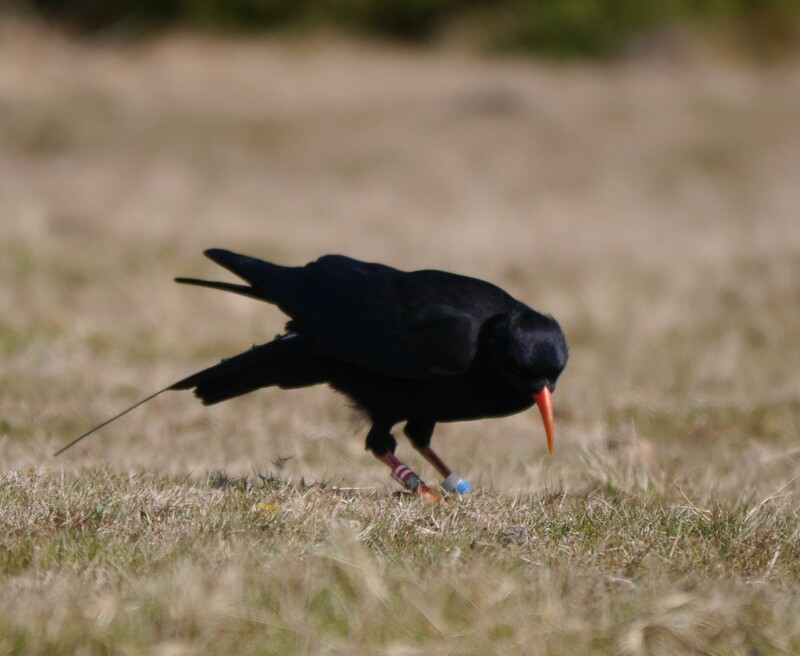 The researchers asked specific questions about how residents viewed corvid and songbird species, whether they would pay for conservation of these species and what they spent annually on bird food. 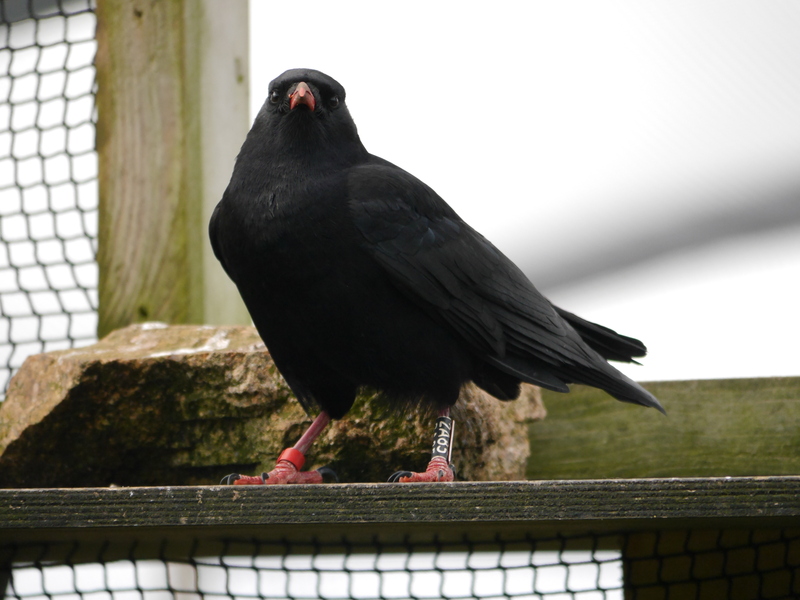 In both Seattle and Berlin, residents’ willingness to pay for bird conservation was higher for finch species than for corvids. 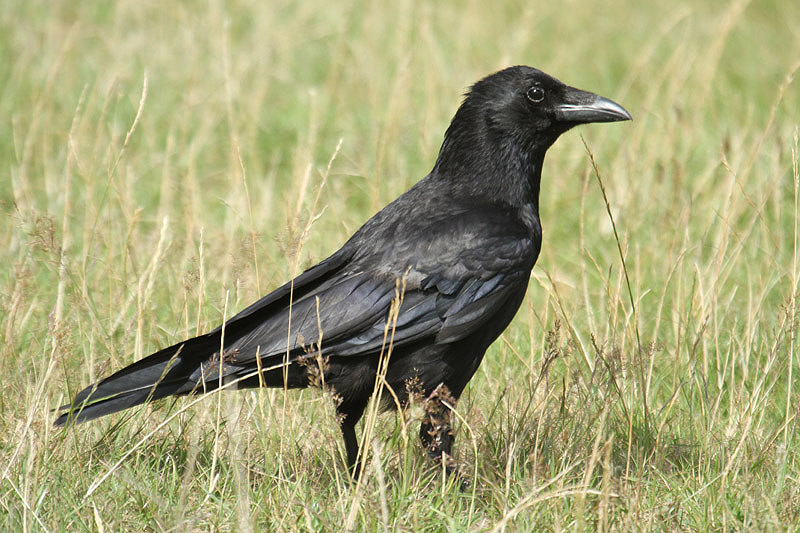 Interestingly, some Seattleites said they would pay to actually reduce the crow population in the city, though many also appeared indifferent about crows. 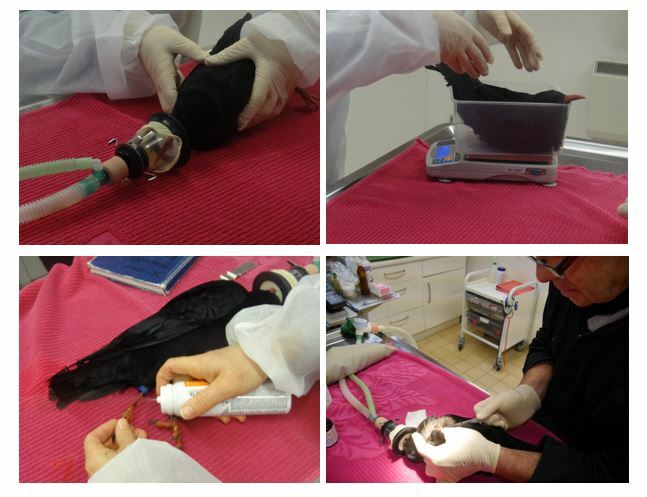 In contrast, Berliners were willing to pay a small amount to increase the city’s crow population, but they had an overall negative reaction to conserving magpies, another corvid species associated by legend with stealing and mischief. 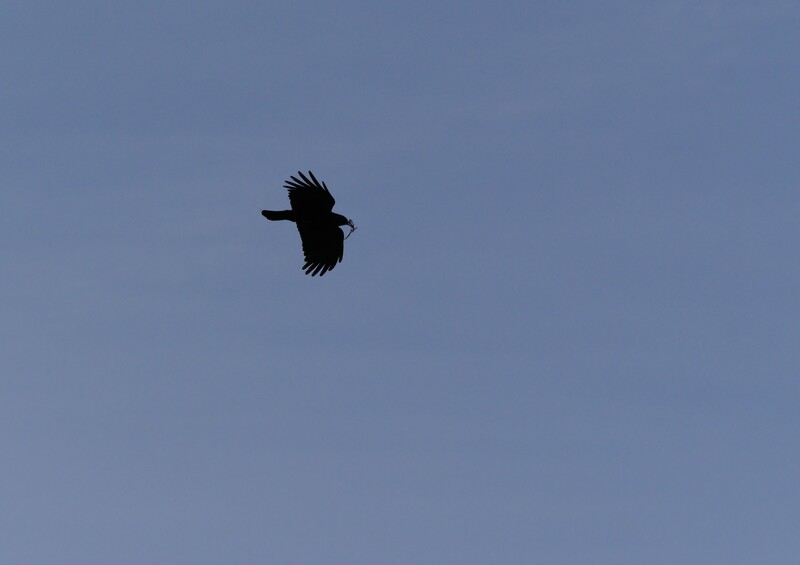 “There’s a lot of culture that goes along with these birds, and that influences how we view them,” Marzluff said. 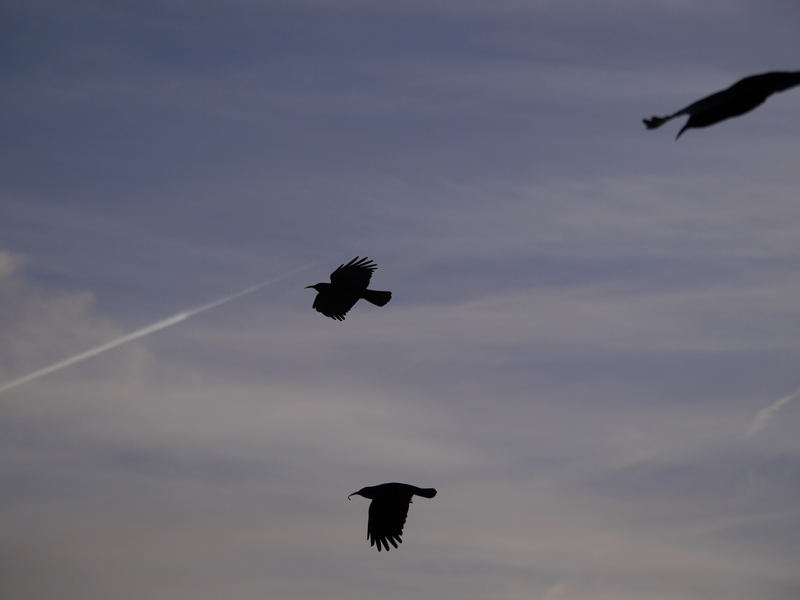 The researchers also noted that residents living in the urban core in both cities interacted the least with birds. 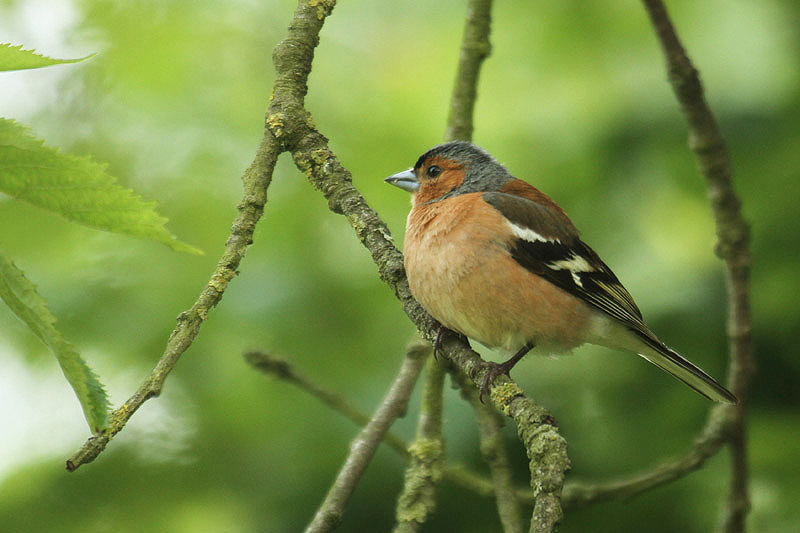 The more that we as humans feed and house birds, the more variety and density appear around our homes. If that interaction isn’t happening in urban cores, “there’s a greater disconnect between nature and humans in those areas, and that’s where most of the population lives,” Marzluff said. That interaction is important for human-nature connections that can lead to greater appreciation for the natural world, he added. The details The Les Creux Country Park site as a whole comprises an area of approximately 45 hectares, with a diverse range of habitats including pasture and arable fields, acid grassland, woodland and coastal heathland. Much of it was originally an area of open farmland which was turned into a ‘country park’ in 2000. Field boundaries in this area have largely been allowed to become overgrown as the dense bramble and bracken stands provide nesting and forage for a number of bird species as well as numerous small mammals. 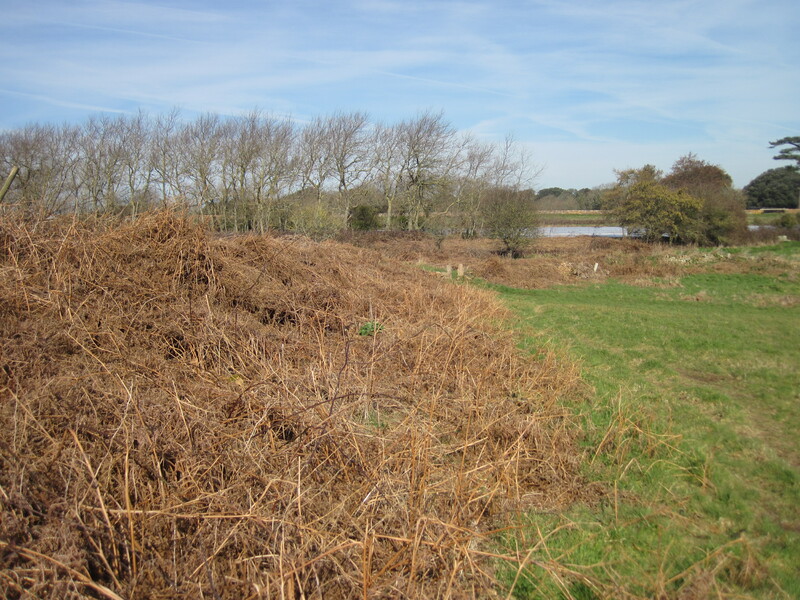 Distinct local features like the banks, walls and hedges benefit a wide range of wildlife including bryophytes, invertebrates and lizards.However, bracken encroachment onto the grassland is a problem, and the plant, therefore, needs to be managed in order to prevent further spread. 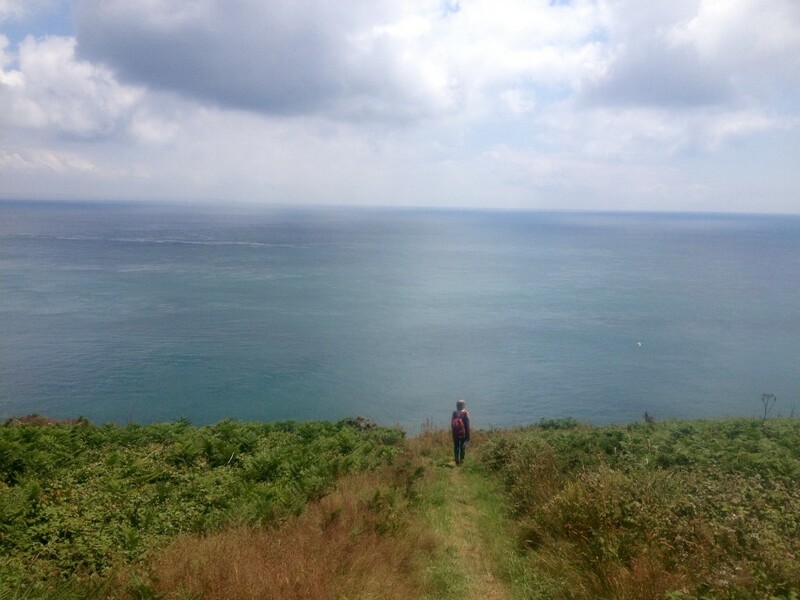 The site Les Creux Country Park is situated above Beauport Bay, in the parish of St Brelade. Parking Please park in the car park above Beauport Bay (Mont es Croix). On Google Maps use this link. In the Jersey Phone Directory the parking is above Beauport Bay on Map 6, in the middle of square J4, at the top of Mont es Croix, St Brelade. The task Bracken cutting and raking. Tools needed Please bring a garden rake and secateurs if you have them. Also, as usual, garden gloves if you have them, if not we have some you can borrow. 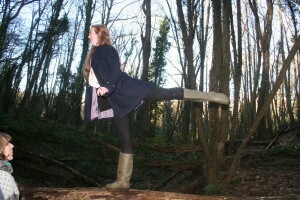 Clothing needed Old clothing and sturdy boots are recommended. Be prepared for any weather conditions as we will go ahead regardless! Waterproofs, thermals or sun screen (fingers crossed) may all be useful. Our very own Kim will be on hand at the end of the morning’s work to provide hot drinks and her wonderful homemade cakes. 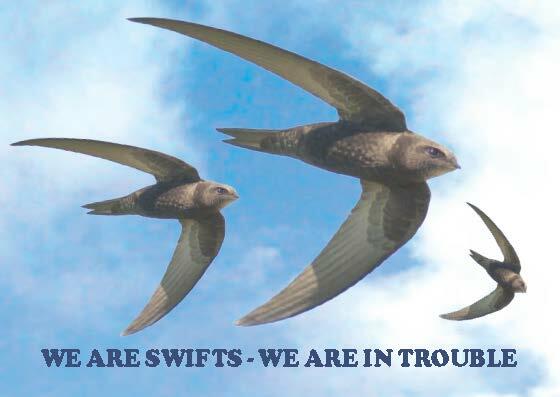 As part of the programme to support our threatened population of swifts in the Channel Islands Vic Froome has produced a wonderful booklet on the incredible swift, its life and how we can help it. See how to get a copy at the bottom of this page. 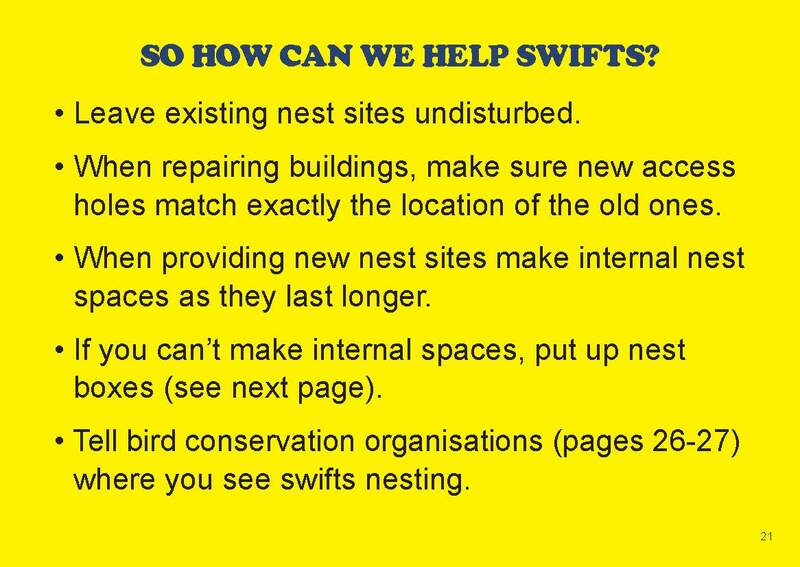 Vic was given permission to make changes to a booklet published originally by Action for Swifts (read the UK 2nd edition here) and make it more appropriate for a Channel Islands audience. Paul Hillion and Melody Press in Guernsey helped in design and printed the booklet. M & S (Guernsey), The Channel Islands Co-operative Society and Ronez funded the costs of production and helped make the booklet available to RSPB Guernsey Group, La Société Guernesiaise, Alderney Wildlife Trust and Birds On The Edge. 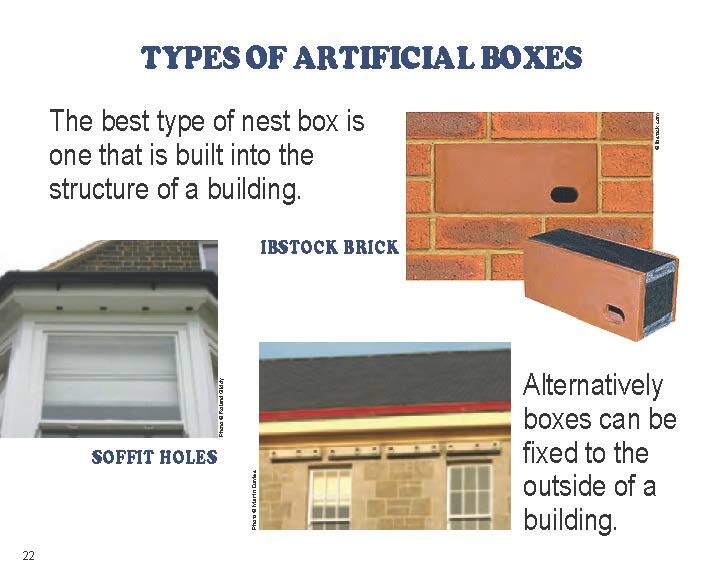 The booklet includes information of artificial boxes and ideas for helping swifts find sites to nest. 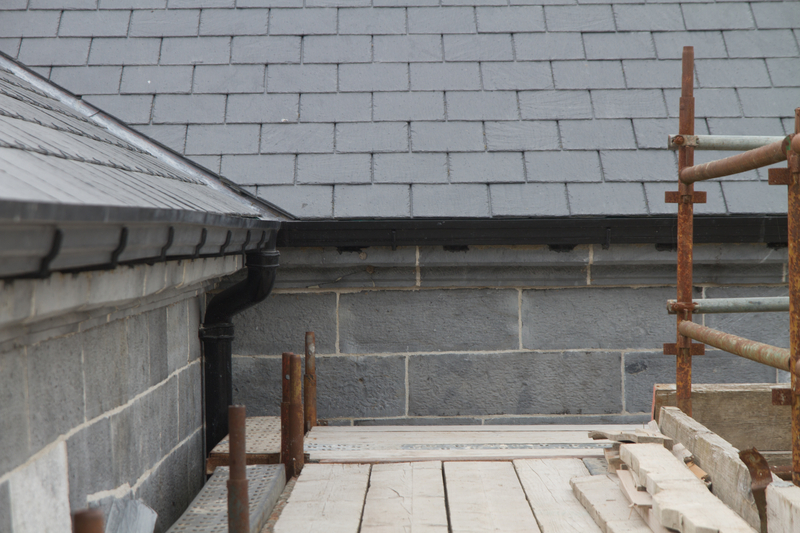 In Guernsey, swifts breed in a variety of ‘typical’ locations like churches and housing. 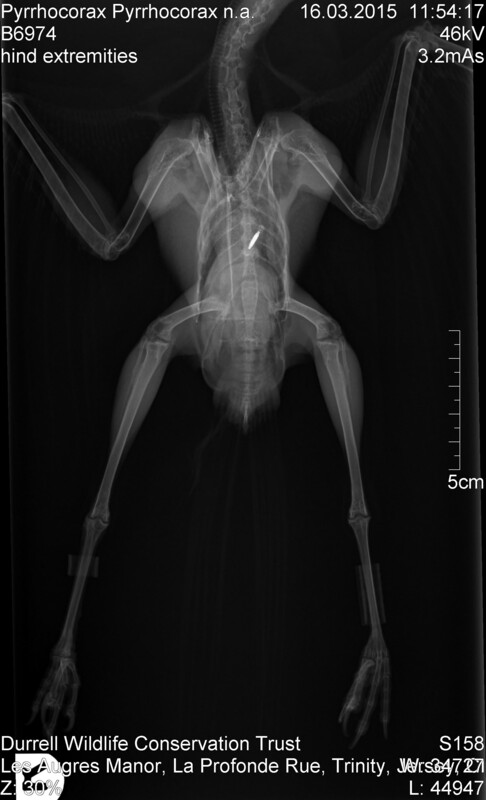 Vic has received sterling support in his campaign to educate about what is happening to swifts and how everyone can help through often simple measures like the provision of boxes where access to holes in buildings has been prevented. It all starts with remembering about the swifts! 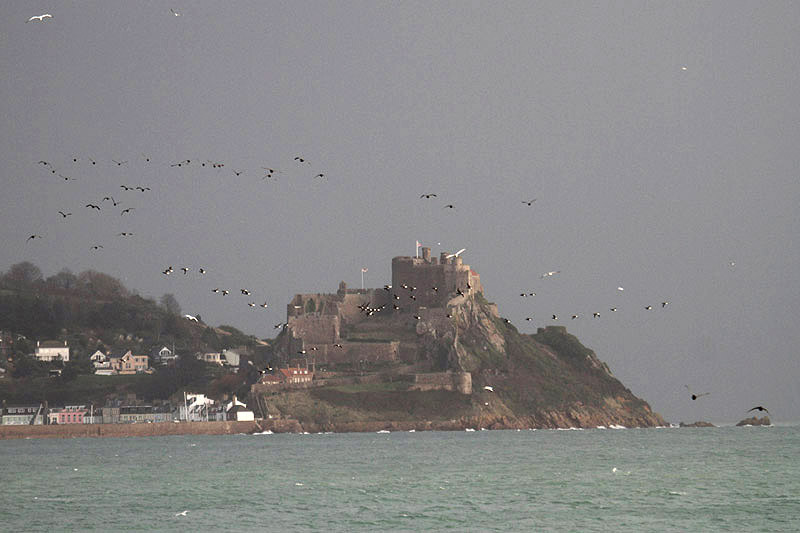 Rather curiously, in Jersey, we only know of swifts nesting in fortifications (castles, towers and a fort), part of the St Helier Harbour walls and fully natural sites on the north coast like Plémont. 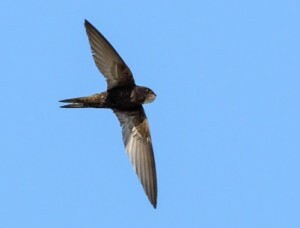 There are no records of swifts in any houses or churches which seems rather strange. Roderick Dobson (in 1952) reported the same situation (and pretty well the same sites) that we see today. 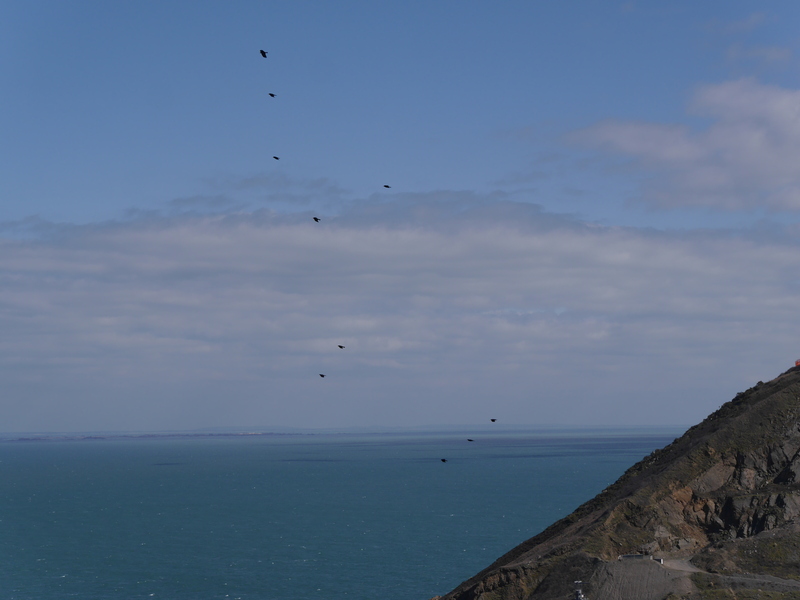 Dobson also reported a decline in swifts at Mont Orgueil because or repairs and pointing to the walls – something the birds are again facing! 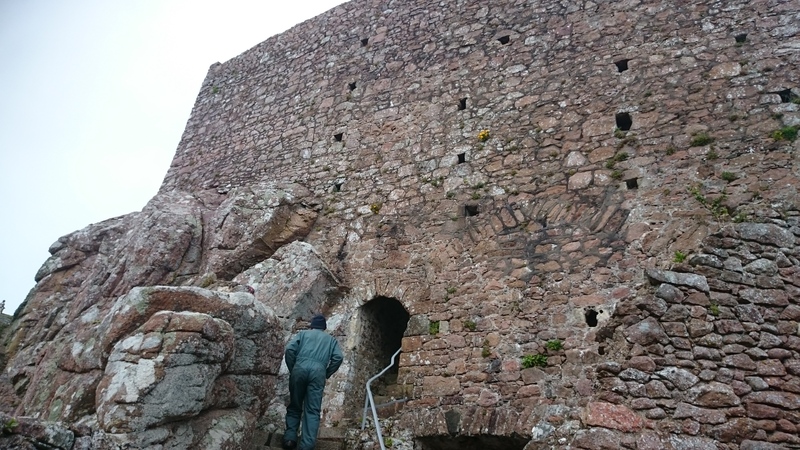 This year we plan to give the swifts help in the castle by improving nesting opportunities modifying some of the post holes in the walls. We expect to be able to report more on this project soon. The 28 page booklet will be free to anyone who would like a copy and will be available at several locations around the Islands so please look out for it. However, you can also download a copy here thanks to Melody Press.